A Dazzle ‘Wake Up Club’ is a unique early morning club. 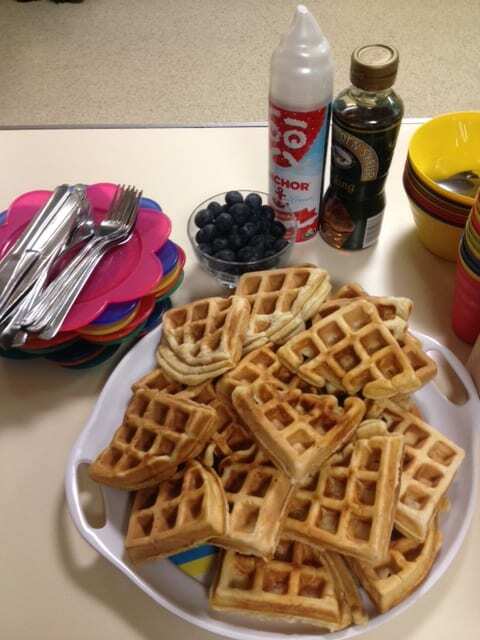 Dazzle aims to offer a professional, reliable, affordable service for parents and the children benefit so much more than a typical school breakfast club. The children are welcome from 7.45am and a simple healthy breakfast is ready with activities set up in the hall and a colouring and craft table. Once the majority of the group has arrived we can start the principal activity which varies from street dance, plate spinning, football skills, french skipping, tennis, gymnastics, craft activities, board games, yoga, basketball or indoor cricket. At 8.30 the children re-group for circle time and we might sing an action song to re-focus before starting their school day.The session sometimes closes with the ‘Check Me Out’ section when the children are invited to demonstrate skills they have been practising and enjoy before joining their classes. The Minchinhampton group have also written their own Wake Up Club song, designed the Wake Up Club logo, created Wake Up Club game cards and new Croga cards…Crazy Yoga. Most importantly, a Wake Up Club morning must be fun. As a parent at Minchinhampton Primary School the ‘Wake Up Club’ is ideal as my daughter comes to the club, and loves it, and I am home by 9.15am. 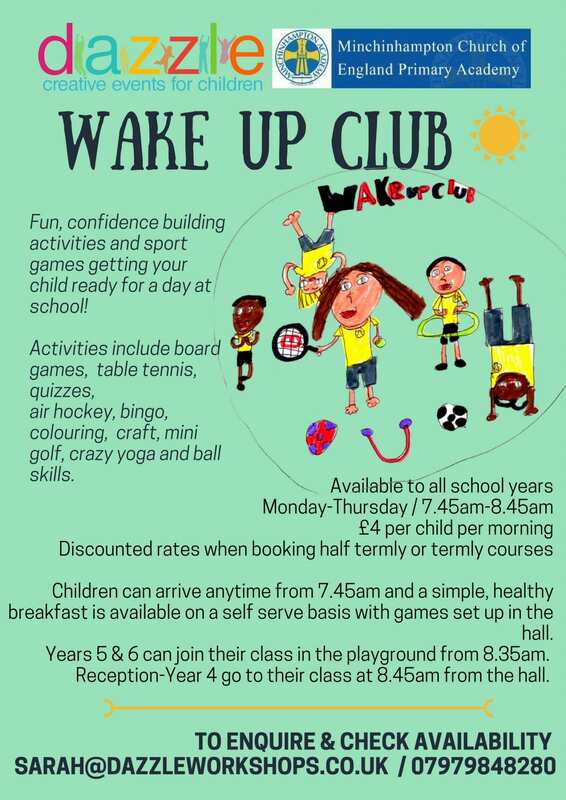 Are you interested in starting a ‘Wake Up Club’ at your child’s school? There are a variety of work and business opportunities available. Your child(ren) attends for free and you are finished by 9am. Manual including warm up games, songs and sports which ideally suit a mixed age group, a school hall and their facilities. Dazzle will organise your enhanced DBS, Safeguarding Training, Insurance and FIrst Aid Training. On-line support, tips and advice. Contact Sarah at Dazzle if you would like to have a chat about the options available.